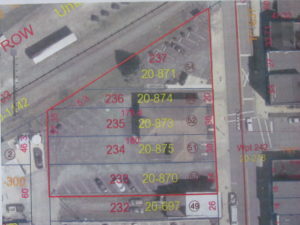 Property Description: Located on the main thruway in downtown Shreve north of the stop light. Formerly the PNC bank, this building is frame construction with brick facial exterior and a two lane drive thru. The large asphalt parking lot has a total of 33 parking spaces, including 3 handicap. GREAT LOCATION!! *Sale to other financial institutions may include a purchaser’s premium/deed restriction.